Beverly Denise Jackson was born on June 2, 1958 in Albany, Georgia to Thelma Bibbs and Willie Wallace. When she was one, Beverly and her mother moved to New Jersey. She attended the Newark Public Schools system and graduated from Westside High School. Beverly attended Saint Peters College in Jersey City where she received her Bachelor’s degree in Elementary Education and later received a Master’s in Special Education. She was employed as a Paraprofessional for the Newark Board of Education for 30 years until her passing. Previously, Beverly was employed by the United States Postal Service. On Sunday, January 13, 2019 at 1:53 pm, Beverly Denise Jackson made her transition from this earthly life into eternity. We will miss her dearly. Beverly leaves to cherish her memory, her parents; Willie Wallace (Barbara) and Thelma Bibbs; one daughter, Jaslyn Elmore (Lynnell Brown); two sons: Esean Jackson and Sherod Jackson (Brooke); ten siblings: Cheryl Gaines, Melvin Bibbs, Leroy Bibbs (Aracelys), Charles Bibbs, Vincent Jackson (Laura), Deirdre Bibbs, Caroline Bibbs, Anita Wallace Thomas, Pinita Wallace Oladimeji and Vanita Wallace; seven grandchildren: Ladeja Brown, Tajii Brown, Denim Grant, Megan Jackson, Keyon Jackson, Mackenzie Jackson and Logan Jackson; and a host of nieces, nephews, dear relatives and friends. 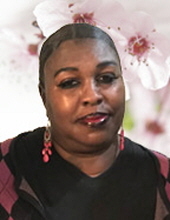 To send flowers or a remembrance gift to the family of Beverly Denise Jackson, please visit our Tribute Store. "Email Address" would like to share the life celebration of Beverly Denise Jackson. Click on the "link" to go to share a favorite memory or leave a condolence message for the family.